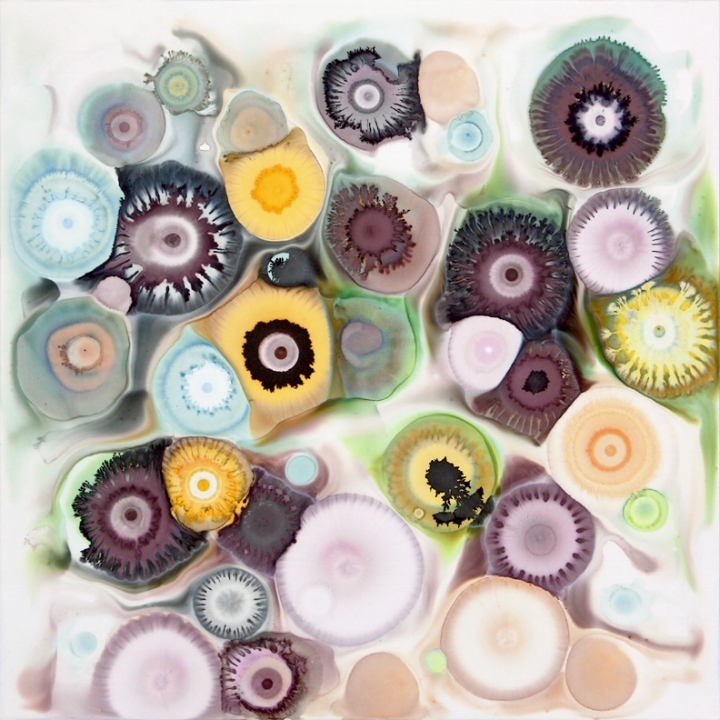 Referencing microscopic interactions observed in biology and genetics, these paintings evoke organic forms and processes found in the microscopic world. 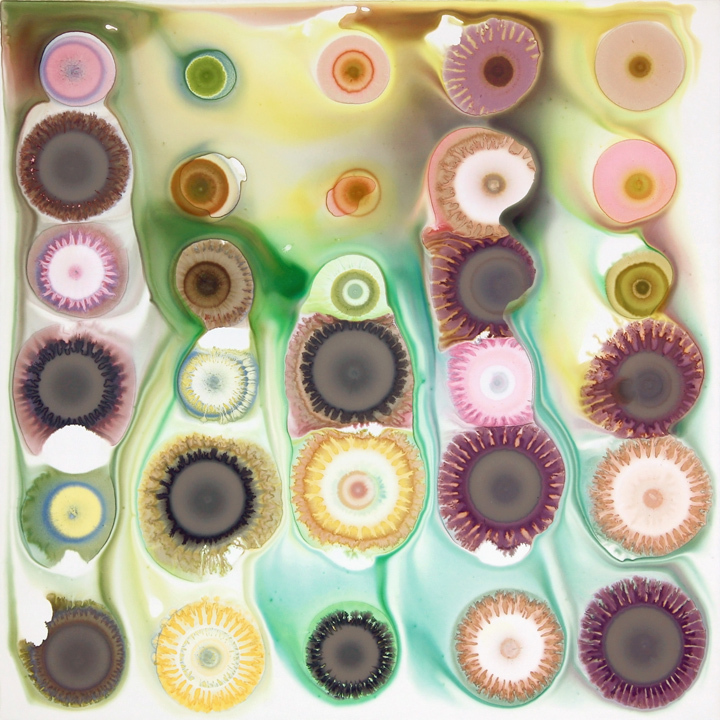 Drops of paint systematically applied to a grid allow me to explore subtle modulations of shape, color, and pattern. The resulting serial pattern is defined by the intrinsic character of the paint as it carves and shapes a distinct topography while color animates relationships between the constituent parts. 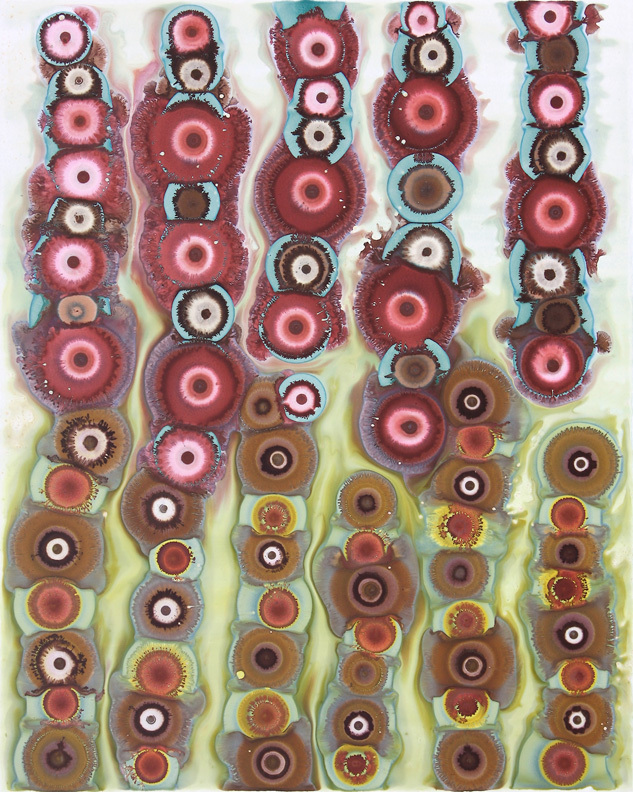 In this work, I play with the delicate balance between order and chaos, growth and decay, and strive to convey a sense of the mystery and beauty that unfolds in the process of life.